Indie Retro News: Sydney Hunter & The Sacred Tribe - New ColecoVision footage and coming to the C64! 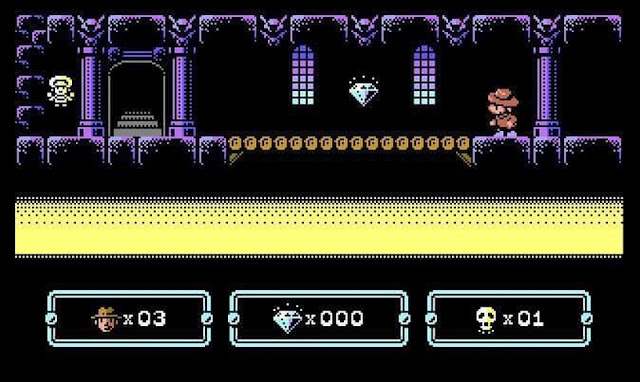 Sydney Hunter & The Sacred Tribe - New ColecoVision footage and coming to the C64! Many years ago, in the 80's in fact, some of us were found in front of our TV's playing the great adventure platformer ' Montezuma's Revenge ', which was released on multiple platforms. As we said before it combined treasure hunting, lots of rooms, puzzle solving and deadly traps and enemies that needed to be avoided almost as if you were playing as Indiana Jones himself. But now not only do we have new gameplay footage to show you from the previously released Sydney Hunter & The Sacred Tribe on the ColecoVision but Acclaim are bringing the game to the C64! Yes indeed this game already released by CollectorVision Games for the ColecoVision is now being developed by none other than Wanax (Platman Worlds) and Saul Cross and will be coming to a C64 near you at some point in the future. Once again you'll be playing as Sydney Hunter, the great adventurer captured by a mysterious tribe in the Yucatan Peninsula. You must use all your wits and cunning to escape, but be warned just as in the style of Montezuma's Revenge, you'll be facing even more deadly traps, blood sucking bats, and even quick sand that will bury you alive. With such high regard for the ColecoVision version, such as " This is by far the best new game for Colecovision. 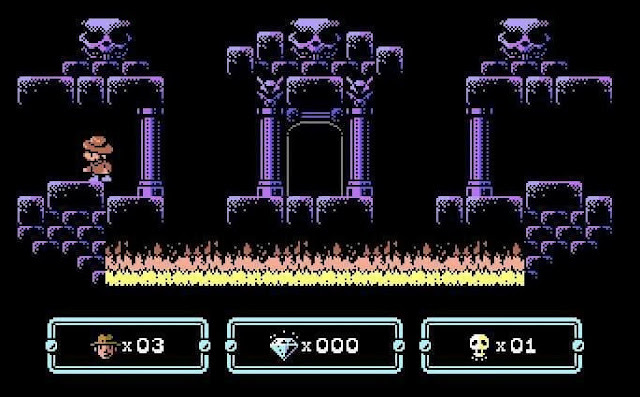 The game incorporates nostalgic aspects such as Pitfall Montezuma’s Revenge with new innovative graphics " and " I just picked up a copy yesterday and I am truly impressed. ", you'll not want to miss out if you have a C64!